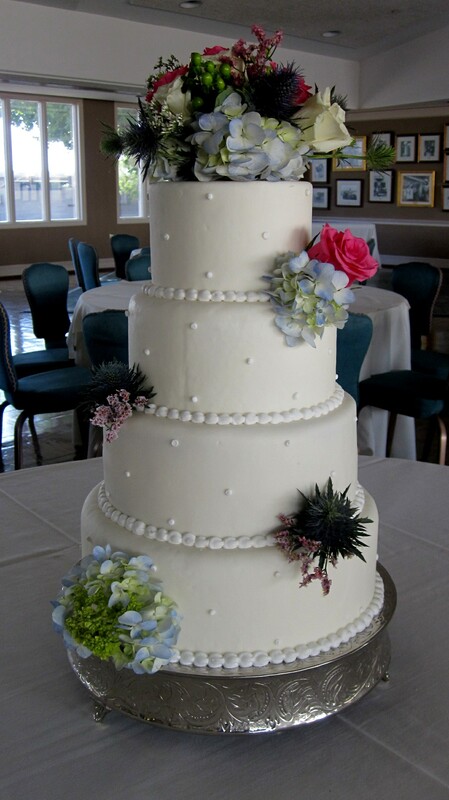 This ivory on ivory buttercream wedding cake was created for a wedding at Fasig Tipton. 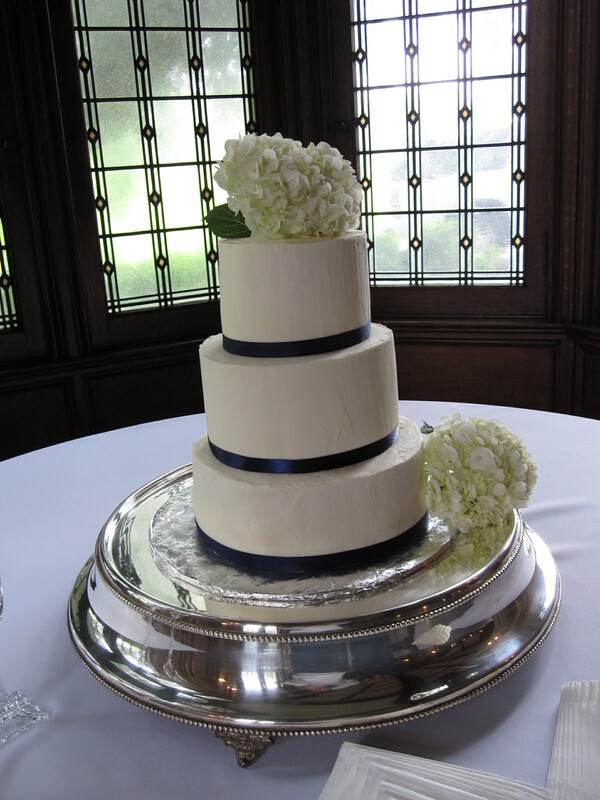 The cake was adorned with fresh flowers including hydrangeas and roses. 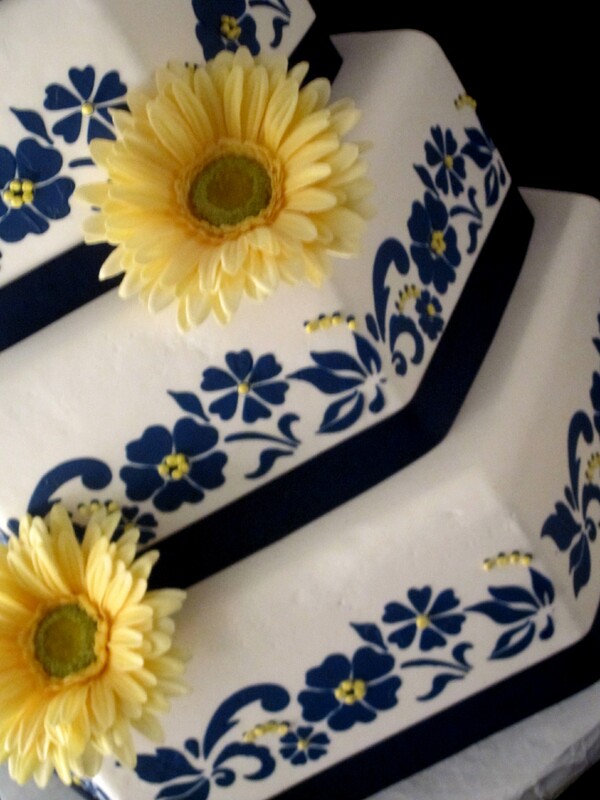 Call The Twisted Sifter Cake Shoppe to schedule your complimentary wedding consultation and tasting. 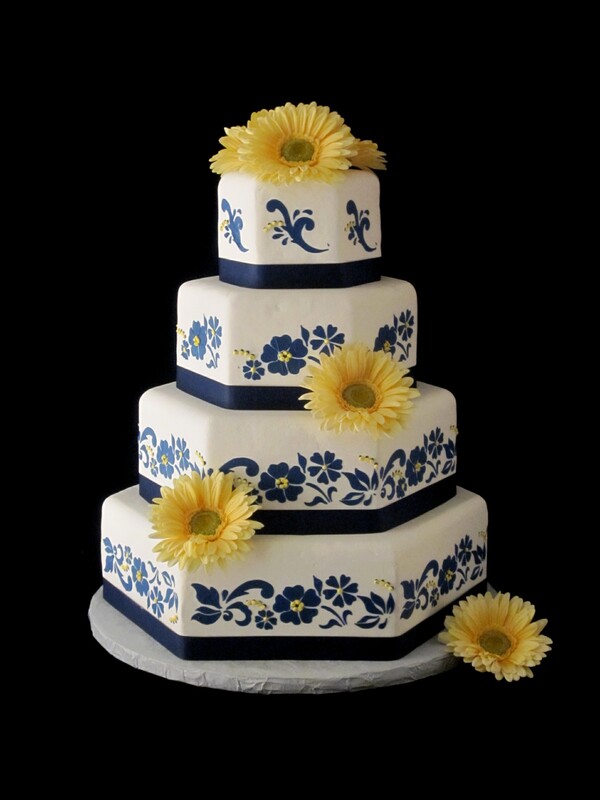 859-285-0306.